I have an egg-cellent recipe today! I'm hilarious, right? My husband and I are huge deviled egg fans. While the original version is delicious as is, I love finding ways to change up the flavor. I admit my last deviled egg recipe is one of my least popular recipes on the blog yet here I am publishing another. I just can't resist because I love them so much! Will you guys forgive me? Maybe try to love deviled eggs a little more, please? You're going to start with some hard boiled eggs - you can make them in batches of 6 or 12 easily. Then you're going to halve the eggs and scoop those yummy yolks out into a bowl and mash them all up with a fork. Add in mayo, horseradish sauce, a touch of maple syrup (trust me), whole grain mustard and of course salt and pepper. Stir it all together and pipe or spoon the filling back into the eggs. The whole grain mustard and horseradish are flavor powerhouses while the maple syrup gives you just the tiniest hint of sweet maple. 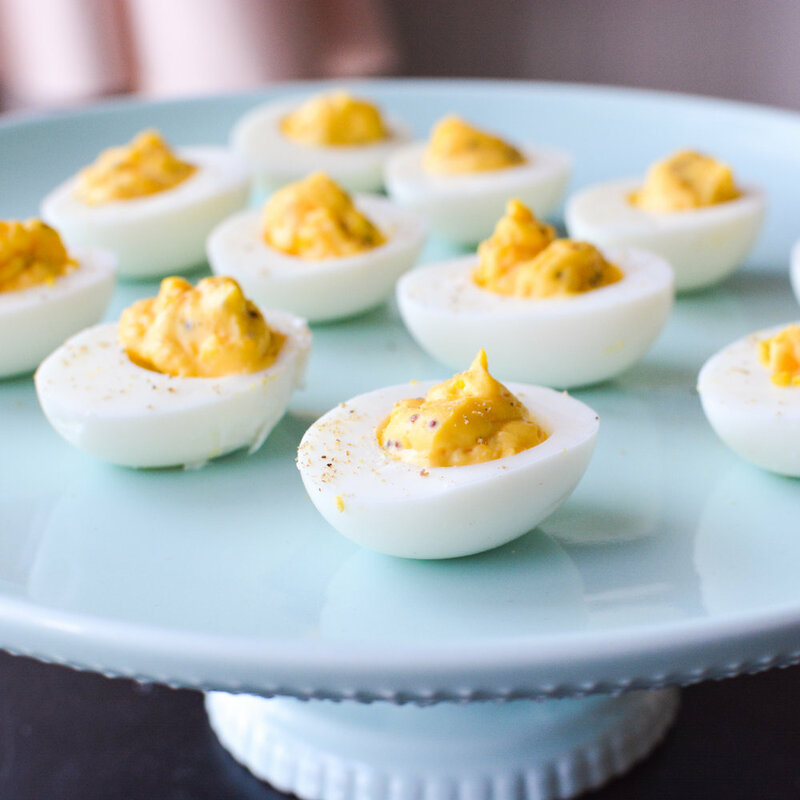 They are different but not so far from the original that true deviled egg lovers will be disappointed.